All songs © 2003, Taurus M. James. All Rights Reserved. 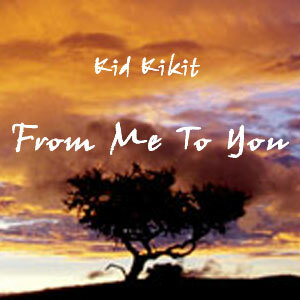 Kid Kikit: From Me To You contains more of my vocal performances over my compositions. All songs performed by Taurus M. James (Kid Kikit). Music produced by Taurus M. James. All Rights Reserved. The Music is Free! Tips Appreciated! All songs in this collection are available free of charge. Listen or download music in high-quality format. I am an independent artist/music producer and need your support. My personal message to every man and woman in the US Armed Forces.